Designed by Patrick Norguet, French, born 1969. Made by Cappellini S.p.A., Arosio, Italy, 1946 - present. 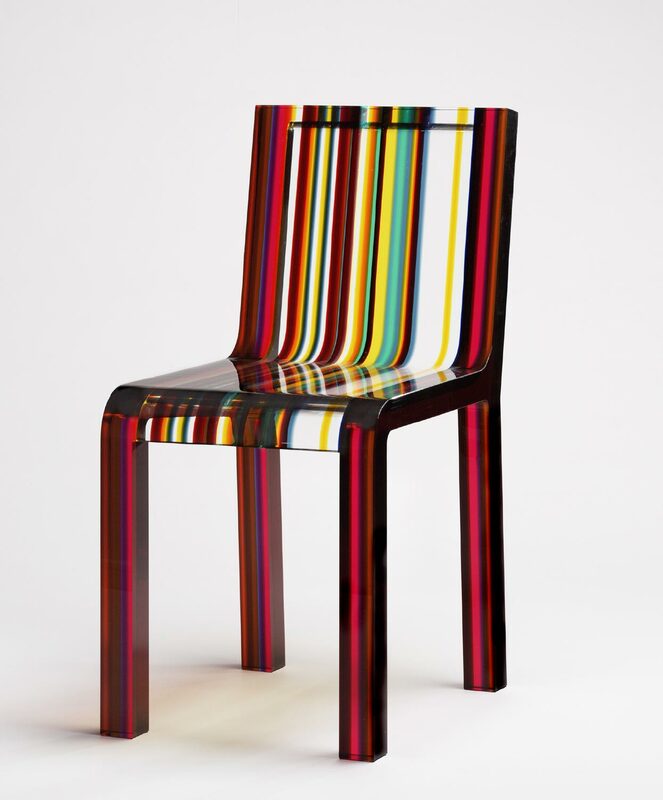 To create the "Rainbow" chair, forty-four translucent strips of brightly colored acrylic Plexiglas are cut in varying thicknesses and are fused by means of ultrasound technology.